Looking for ways to make milking fun? 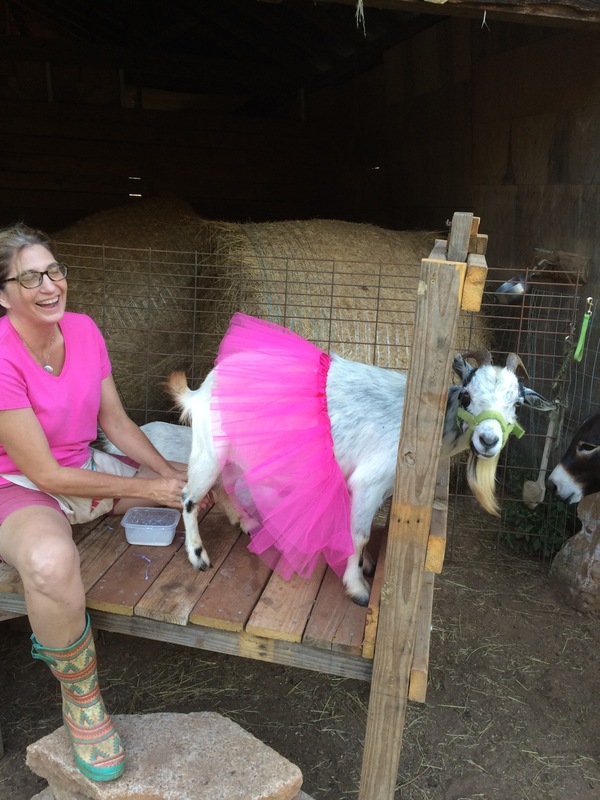 I adorned my Alpine milking goat named Faith Hill bright pink tutu. She easily stepped into it as she stood on the stanchion. 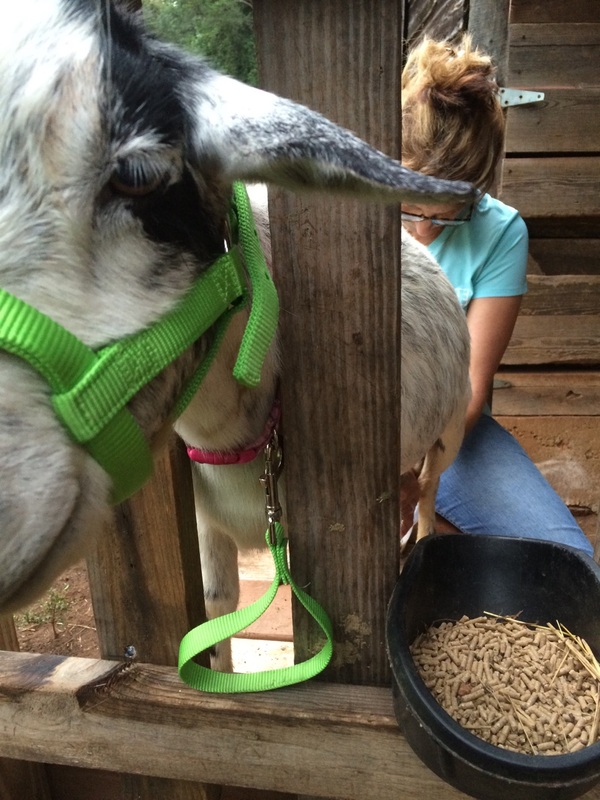 Walking around in tulle is not a fashion statement every goat wants, so it’s important to help her remove the accessory before returning to the herd. Especially if there are not enough for everyone. This elasticized ensemble can be reused for 5K races, Halloween parties and bonfires. You just never know when a good tutu will come in handy. I admit it, I watch American Ninja Warrior on television. There is skill, training, dedication and hard-work that these folks demonstrate on national television. There are gyms across the country that teach people to master the skills necessary to compete. The website to submit an application to compete on the show is impressive in itself. For me, racing against the clock to jump onto plexiglass walls over pools of water is quite foreign. I spent years balancing on rocks crossing icy creeks in the winter and dodging steaming piles of cow manure in the pastures of hot, humid summers. Yet, devoting hours each week to mastering an obstacle course never really crossed my mind. 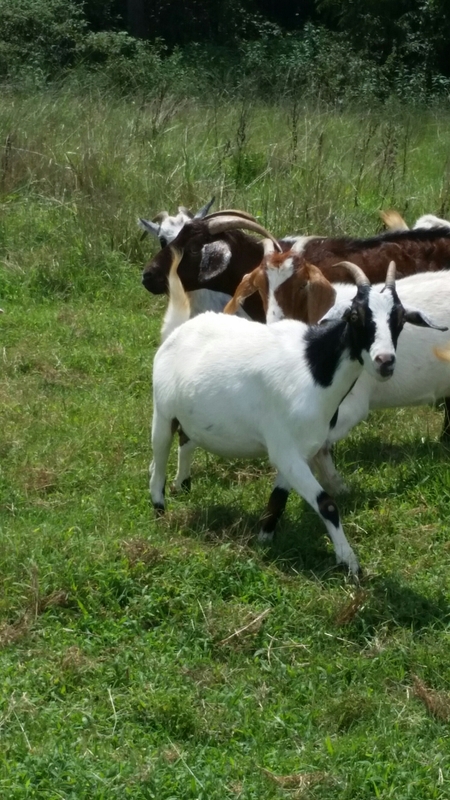 However, our goats love climbing.They attempt to climb trees, hay bales, and they even like to stand on the donkeys’ backs. 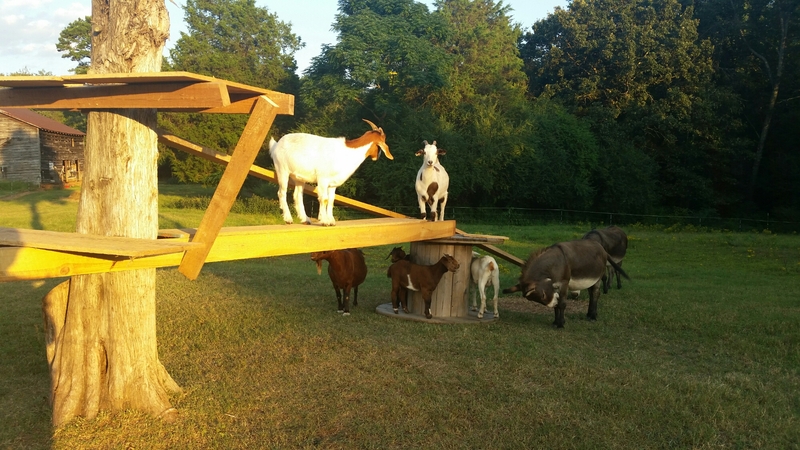 To amuse them, Jim built a goat tree house / obstacle course, worthy of the American Ninja Warrior contestants. Now, they spend hours jumping on the boards and knocking each other off. We lack the television crew to film their antics, but their dismounts are medal-worthy! 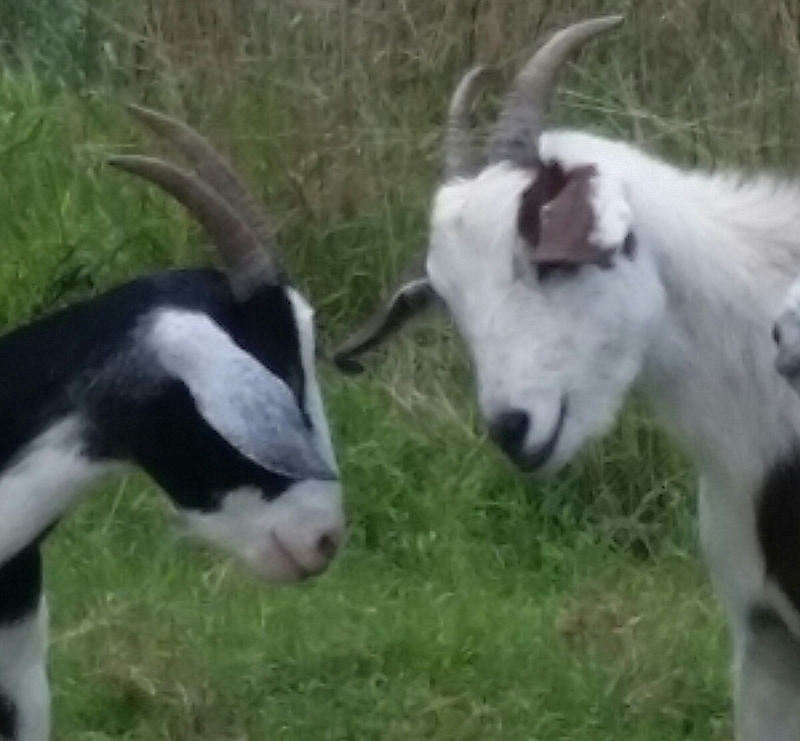 As the herd grows…a soap opera from the farm. This response is usually met with a blank stare or an audible groan. Sometimes the conversation turns to soap and cheese. Over the last decade, I’ve made soap without milk. 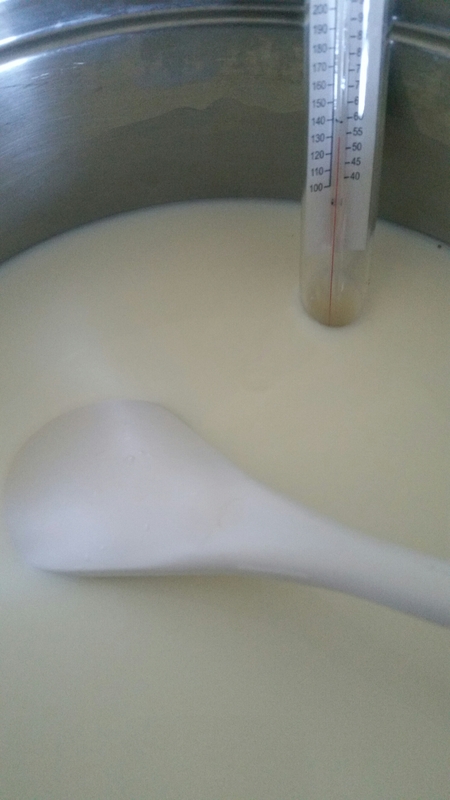 Now, with the supply of fresh goat milk, I’ve started making small batches of goat milk soap. It’s a project that will last as long as the milk flows. 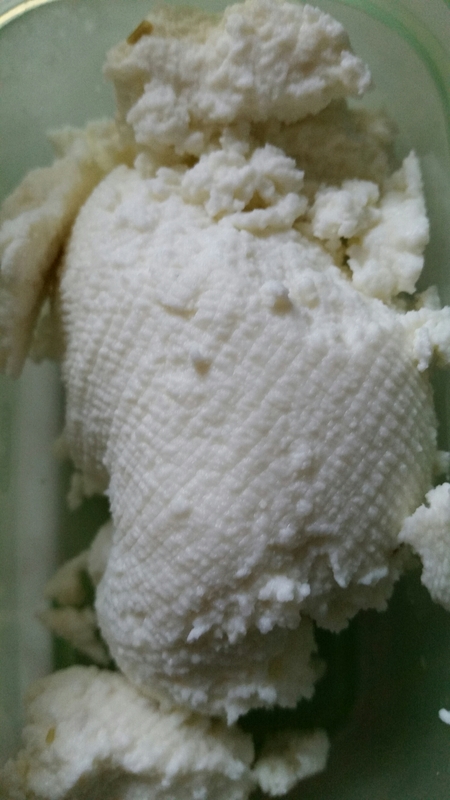 As of last weekend, I’ve successfully made a batch of chevre, goat’s milk cheese, that resembles ricotta, and it was quite easy to make! 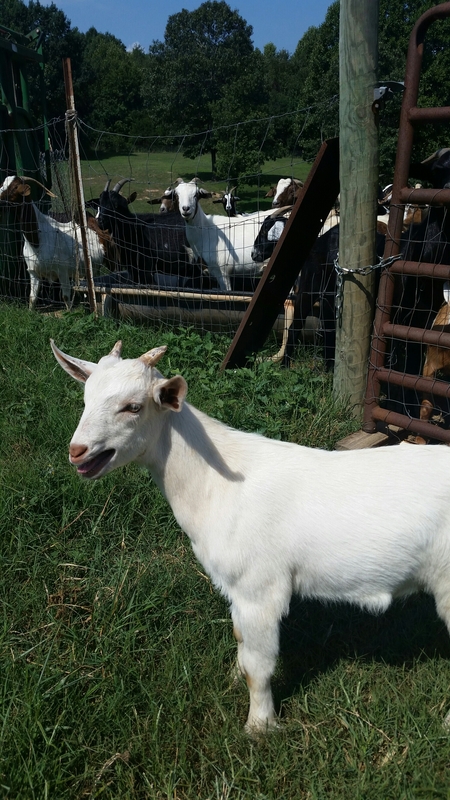 How did we get to goat milking? 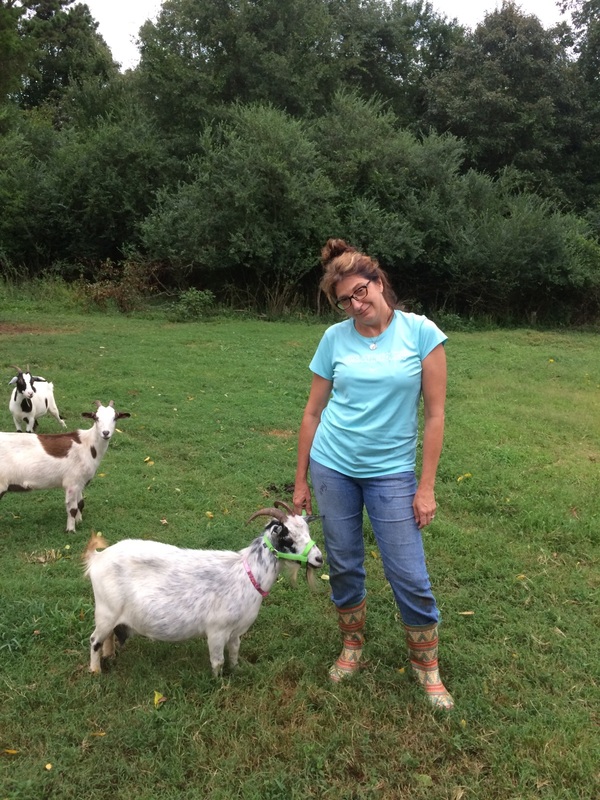 In the summer of 2015, we relocated four pygmy goats from Daddy’s farm to our newly fenced area. 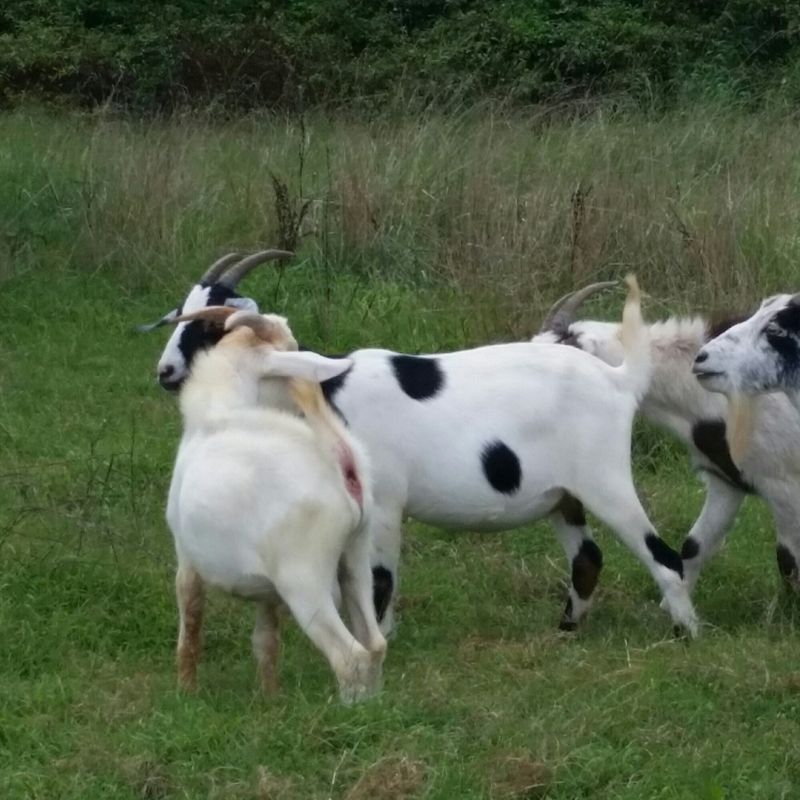 We lost those goats to a pair of wild dogs. 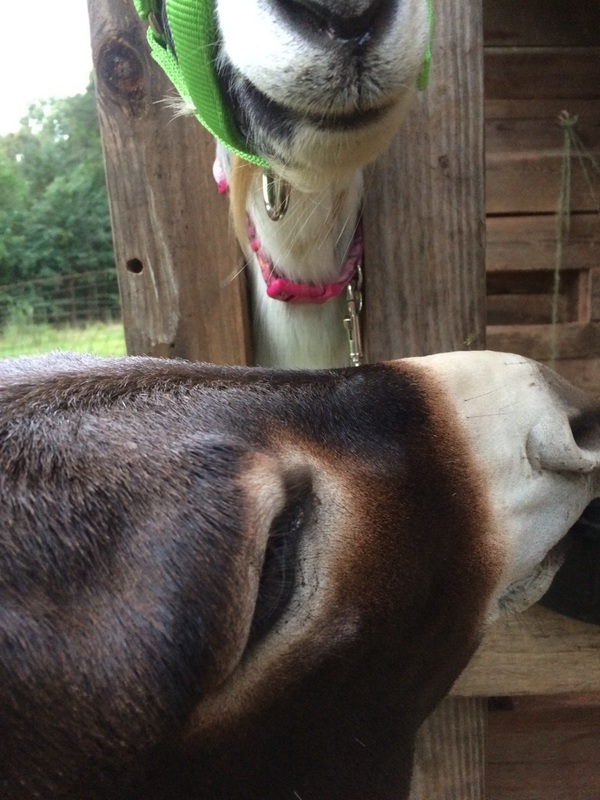 After burying the goats, we found a pair of miniature jack donkeys who needed a new home when their owner’s daughter headed off to college. 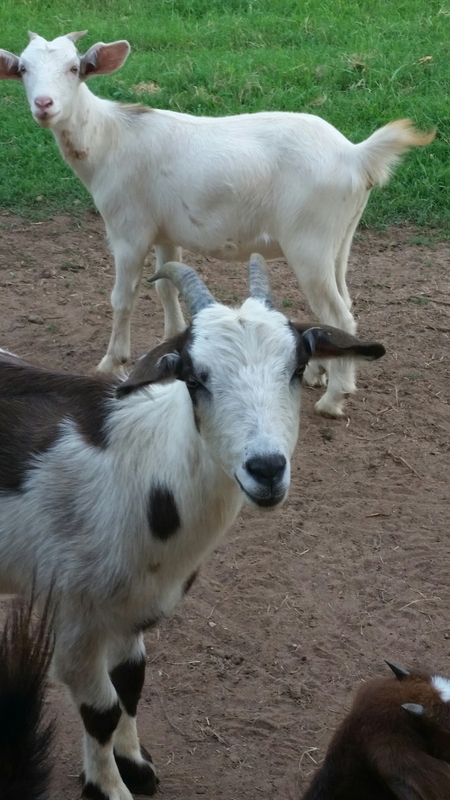 Pete and Ney enjoyed full-run of expanded pasture until February, when Jim announced that he wanted to try more goats. 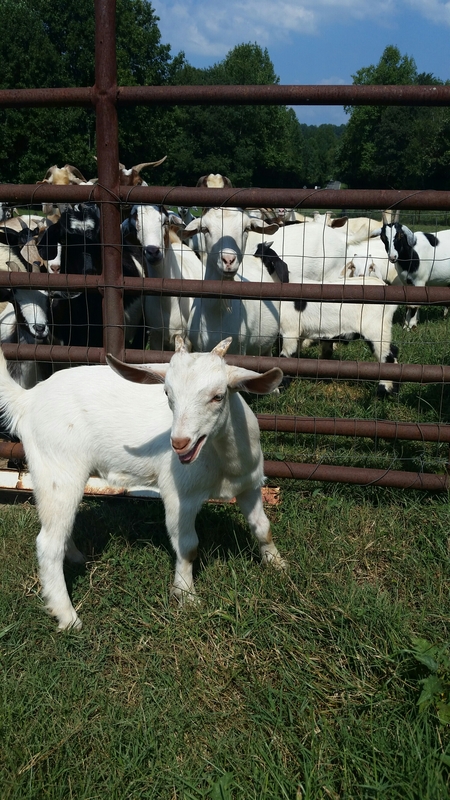 By the summer of 2016, the tiny herd increased the nine, complete with new breeds, babies and bucks. 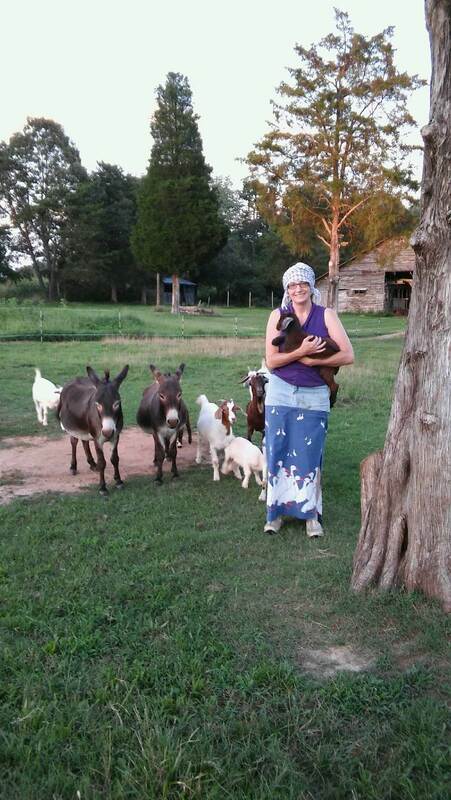 Our tiny herd is growing, along with our skills for mending fences, wrangling and milking goats.